I was a complete newbie before I started with SBI's system. There is so much information out there on the internet as I am sure you already know. Site Build It has packaged everything in ONE place and the system is really pretty easy to use -- Although you do have to be prepared to roll up your sleeves and make it happen as SBI is not just a get rich quick scheme. Your web site with SBI will get great rankings in the search engines and in turn will get the targeted traffic to make your online business succeed. Learn how you can apply audio to your web site and emails. Selling Your Idea With Solo Build It! Do you have a particular skill set? Do you have a passion or body of knowledge? Then use Solo Build It! (SBI!) to build a theme-based Web Site. Your site PREsells and generates income from targeted, open-to-buy customers for your services and/or products. What if you don't have a product or service to sell online? NO PROBLEM, as you'll soon see! Yes, even if you don't know what HTML stands for! 1) Action Guide -- Make Your Content PRESell! -- your personal mentor. 2) SBI! Manager -- brainstormer, researcher, and all around time-saver. 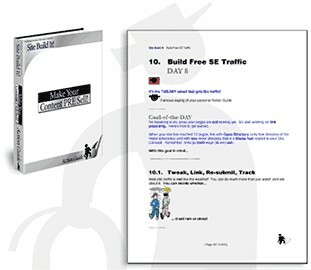 3) SiteBuilder & TrafficCenter -- Build your site and generate TARGETED traffic to it! What do you need to add to the SBI! magic recipe? Motivation and the desire to build an online business! "Make Your Content PREsell!" is much MORE than a guide book. Think of it as a mentor who escorts and advises you through a 10 DAY pathway of information and tools. Upon completion, you will have a site that attracts visitors who are interested in your content. And your content will convert that traffic into income. Your content becomes a Web site. You can now build a profitable Web-based business on ANY theme. Follow the step by step process, as the Action Guide leads you from DAY to DAY, from tool to tool, starting with... the Brainstorming and Research tool of the SBI! Manager. The SBI! Manager Researches the Web on your theme. 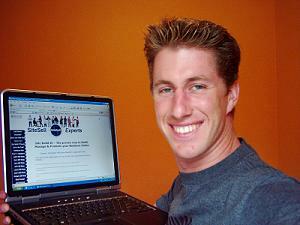 It brings back a list of the most profitable topics, around which you create your site and your whole e-business. Just type in a couple of words that best relate to your online business or idea! The SBI! Manager will actually go out to the internet and brainstorms and research your theme to develop your Web site's "Perfect Keywords." 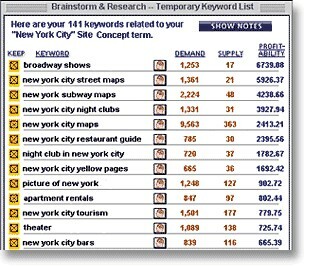 Imagine having a tool that does all of the keyword research in just MINUTES. This normally takes savvy Web marketers WEEKS to do. The Manager does it all in a matter of minutes. A Selection of profitable keywords in the SBI Manager will have helped you define the subject matter of your Website and will help you choose the best URL for your site. This is an example of how SBI! defies the norm to achieve better results.... So Powerful! The SBI! Manager spawns a browser where a URL is registered. Users who ALREADY have a URL are provided instructions on transferring it to their SBI! site. 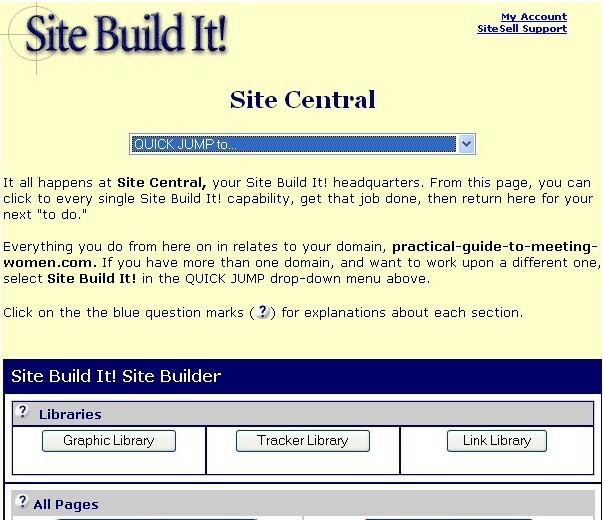 Building the Website and accessing other SBI tools is done by logging into Site Central. It is the mainframe from which you will work to develop and build a working website. Let SBI guide you through the way that works best on the net... Focus on what you know and let SBI handle all of the technical aspects of the internet. 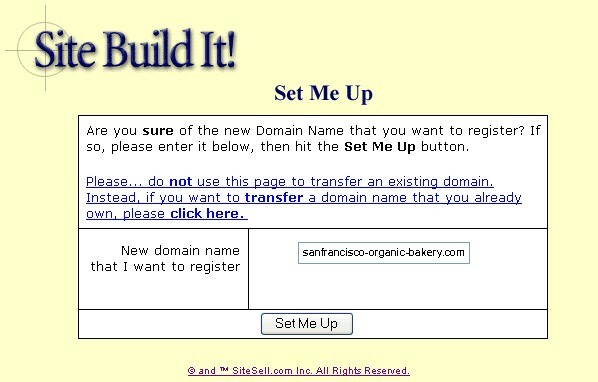 Building a Website With Solo Build It! If you can stack blocks, you can create Web pages... Sensational ones. 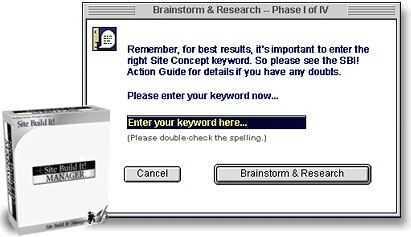 Remember those brainstormed keywords? That focus upon the most profitable keywords... You will create content that people want. Content attracts motivated traffic... which converts into business. And SBI! makes content-creation easy. Point, click, and insert everything a page needs. When you are done building the page you will click on the Analyze It! button to be sure that the page is fully optimized and that it ranks high at the Search Engines. Then click on the Preview It! (to make sure it looks just right). All set? Super! Solo Build It! WILL get you the targeted traffic along with the search engine rankings in order for you web site to succeed online. Did You find SiteSell Experts helpful? Would a Step by Step Site Build It video demo be helpful to you?